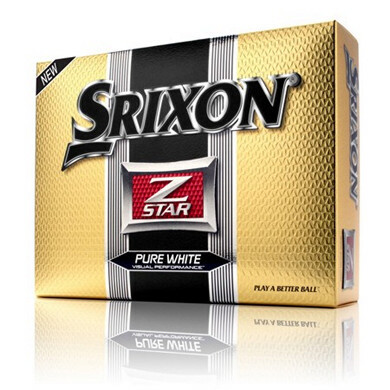 Tour Premium Srixon Z-Star Golf Ball is Srixon's best ever high performance three-piece ball. Soft with maximum control. 324 large seamless dimple design with a larger, softer core and ultra-thin cover provides flight stability and exceptional spin and control along with a faster ball speed.. Exceptional feel and soft sound. Driven to improve greenside spin without sacrificing distance and tee to green control. The proprietary SpinSkin, coating improves friction between the golf ball and club surface by 20%, resulting in unmatched greenside performance. The new dimple pattern design balances dimple surface coverage with uniformity to produce the least amount of drag making this ball more stable in the wind.